A group of Sonic the Hedgehog fans dismayed by the few seconds of Sonic 4 gameplay we've seen thus far has announced that they will be boycotting Sega by buying a different Sonic game. That'll work. Let's file this one under "Gamers don't know what boycotts actually are anymore": A group of old-school Sonic fanboys are apparently very unhappy by the less-than-a-minute of unfinished, early-development footage we have seen of Sonic the Hedgehog 4: You Wish it had Pikachu in a Sombrero. 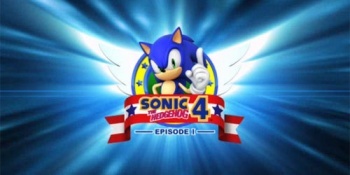 Said group of fanboys has announced that until Sega makes Sonic 4 just how they want it, they will be boycotting the game. That is, they will be boycotting the game and buying the original Sonic the Hedgehog instead. ...yeah, that'll really learn 'em good. Take that, Sega!